"He'll be like this for fifteen seconds, then he'll throw the knife straight ahead of him, and then he'll speak in fluent Quirmian for about four second, and then he'll be fine. Here -- " she handed Moist a bowl containing a large brown lump "--you go back in there with the sticky-toffee pudding and I'll hide in the pantry. I'm used to it." I read Terry Pratchett's Going Postal this week, and I have to say, it's my favorite Discworld book so far. Unfortunately, I've only read eight of them; it took me too many years to pick up these books. I'm halfway through Making Money, the sequel, but paused to bake. 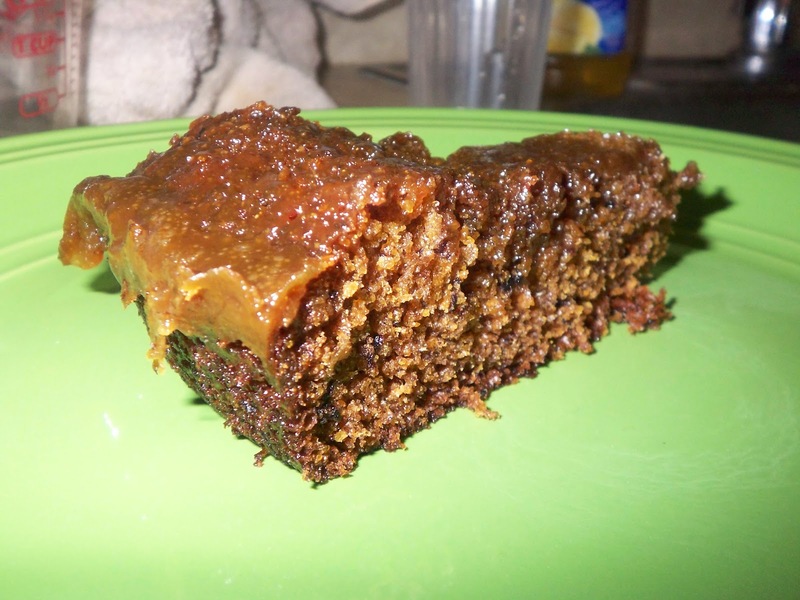 I'd never made sticky toffee pudding, but it sounded old-fashioned and delicious. Only one of these is true. The history of the dessert is somewhat muddled, but generally, Francis Coulson is credited with creating it in 1960 -- making it a century more modern than I thought. The recipe below is based on Coulson's original. 1. Preheat the oven to 350 degrees Fahrenheit. Cream together the butter and sugar, then mix in the eggs. 2. Bring the water to a boil and add the chopped dates. It's possible to get pre-chopped dates that are covered in some kind of powdery substance. They tend to be hard and bland. Whole, pitted dates are sticky and taste like honey. Winco (if you have one) sells them cheaply in bulk. 3. Add the baking soda to the date mixture, then add the dates mixture, flour, and pinch of salt to the creamed mixture and stir until smooth. So, yes, the date-water goes in, too. All sweet and delicious. 4. Butter and flour a 10-inch cast iron skillet. 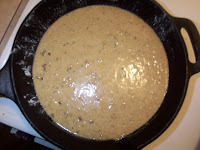 Pour the batter into the skillet and bake for 20-30 minutes, or until just set. All right. You could use some other kind of 10-inch pan, but given the toffee-flavors, and the way cast iron caramelizes the edges of cakes and brownies...well, yum. Though, if you choose another type of pan, it will probably take longer. Coulson's recipe calls for 30-40 minutes...so I'm glad I checked my cake part-way through. It finished at 22 minutes. 5. Meanwhile, make the toffee sauce. Put a small sauce pan on medium-low and add the butter until melted. Then add the brown sugar and cook for about five minutes, or until the brown sugar is thoroughly melted. Add the milk, stir, and set aside. This one takes some explanation. All the toffee sauce recipes called for heavy cream. I didn't have any on hand. 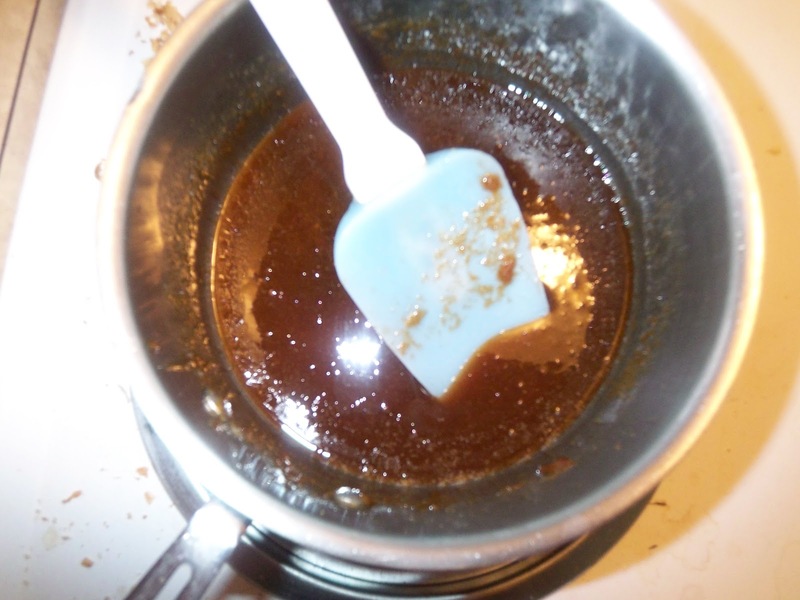 But to make toffee, you take 1:1 ratios of sugar and butter and boil it to a hard crack (well, roughly that's how it goes). Surely I could just undercook it? Unfortunately, the sugar and butter never emulsified. But the bit of milk at the end worked to bind it together into something fantastic (it also spluttered at first, so you're warned). I plan on making this again and seeing if adding the milk at the beginning works just as well -- I'll update this post when I do. 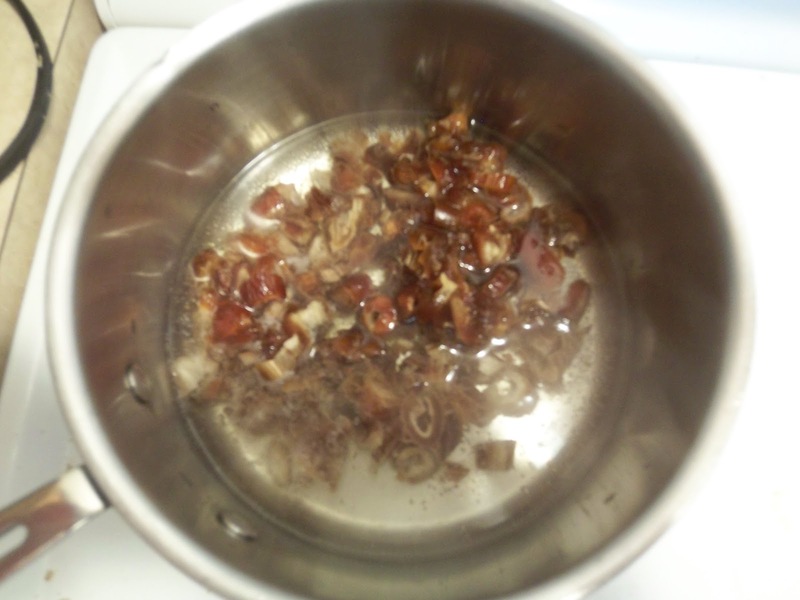 ** The finished sauce should make soft balls when dropped into a cup of ice-cold water. 6. 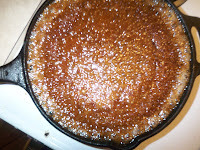 Pour the toffee sauce over the hot cake and return it to the oven for 2-3 minutes, or until the toffee is bubbling. Once the pudding's out, you could either eat it warm with some icecream or refrigerate it. It's summer. I went for the fridge. The toffee sauce penetrated the top of the cake, making a moist-sticky top that was perfect for the hot day. The toffee at the edge of the pan turned into a chewy toffee collar that's my favorite part of the whole thing. We will be making this again. *Whole wheat white flour is flour milled from hard white wheat berries, as opposed to the hard red wheat berries that's standard in the US, at least. Whole wheat white has all the healthy goodness from being a whole grain, but its taste is much milder than hard red wheat. Unfortunately, not all grocery stores seem to carry it. If you need to substitute, trade it out for all-purpose white flour. **I tried adding the milk at the beginning. It meant I needed to cook the sauce longer, which gave me an over-caramalized, almost burnt taste, instead of toffee deliciousness. So, stick with adding the milk after the brown sugar's thoroughly melted. Write Up on "Blank Faces"